At What Age Does Canine Dementia Appear? How Common Is Dementia in Dogs? How Is Dementia Diagnosed in Dogs? What Is the Typical Prognosis? How Is Canine Dementia Treated? Are There Preventative Measures That Can Be Taken? Did you ever hear the phrase “all dogs go to heaven”? If you were a child during the 90s, you probably saw the animated movie by the same name. We’ve talked a little about dogs passing away here on the blog before, but for most dogs, before they find out if that phrase is true, they have to live as senior citizens. This can be a great time in a dog’s life. Lots of long naps, getting spoiled by loving owners, maybe getting a little bit of wet food now that their teeth aren’t as strong. Healthy dogs age in a way that doesn’t change their cognition – they just slow down a bit, physically. But what about dogs that get older, and their brain function starts to slow down a bit too? This is not a normal sign of healthy aging in a dog. In fact, cognitive dysfunction in a dog could even go as far as to develop into the doggie version of Alzheimer’s or dementia, called CDD (canine cognitive dysfunction). Here are seven things to know about this condition. Canine dementia can start appearing in dogs as early as 9 years old, though it is more commonly seen in dogs between 15 and 16 years old. There aren’t any definitively known causes for CDD. We do know that what happens is that an accumulation of amyloid plaques starts to occur in the front part of the brain, due to defective neurofibrillary proteins getting “tangled”. (This is the same thing that happens in humans with Alzheimer’s.) The front part of the brain is where things like memory and the ability to learn are stored. When this build up occurs, it starts to affect how this area of the brain works. When that area of the brain starts to have trouble, other areas of the brain also struggle. This can lead to increased breakdown of important enzymes, which just causes even more problems. It’s a big circle that feeds itself and can progress rapidly. The University of California did a study on CDD. They found that in dogs that are between the ages of 11 and 12 years old, 28% show signs of CDD. And in dogs that are aged 15 to 16 years, 68% show signs of CDD. That is a lot of dogs, especially once they get into their later years. Chances are that if your dog is over 15, they are more likely to have signs of dementia, than to not have any. Being disoriented: If your dog suddenly seems to be wandering aimlessly when they walk, or if they suddenly can’t navigate around a chair if you move it from its usual place, this could be a sign that they are having trouble with their spatial awareness. No longer interacting the same way: Has your clingy dog suddenly become standoffish? Or has your independent dog suddenly become clingy? Do they greet you in a very different way than they used to? This could be a sign that they are struggling with cognitive function. Changes in their sleep cycle: Is your dog often waking up in the middle of the night? Do they seem very restless at night? Do they sleep for extended hours during the day? This could be another symptom. Accidents inside: If your dog, who has been house broken for years, suddenly starts to have accidents inside, this is another symptom of CDD. Changes in activity level: The final symptom be aware of is a big change in their activity level. Have they stopped eating a lot? Have they seemed to stop responding to activity around the house? Do they seem uninterested in things like grooming or normal dog behaviors? Do they develop separation anxiety or suddenly lose their interest in your comings and goings? This is just a short list of the many diseases and issues that could cause similar symptoms. Your vet will likely go through a whole collection of tests to exclude any of these things. This could include blood tests, urinalyses, various scans, physical exams, testing a scraping of skin and fur, and anything else the vet may think is necessary. The prognosis for CDD is not as positive as one might hope, but it’s not a death sentence either. Around half of dogs that show one symptom of CDD will start to develop other impairments within the next six months to a year. So, within a year of seeing one symptom, you’ll probably be dealing with others. But that doesn’t mean your dog will necessarily be in any pain or be dying. It simply means that your dog may have a harder time enjoying life the way they used to, and may need more attention than they used to. Changes in your dog’s diet. Many vets will recommend a food that has a lot more vitamins and omega-3 fatty acids, to help preserve the healthy cells that are still thriving in the body. 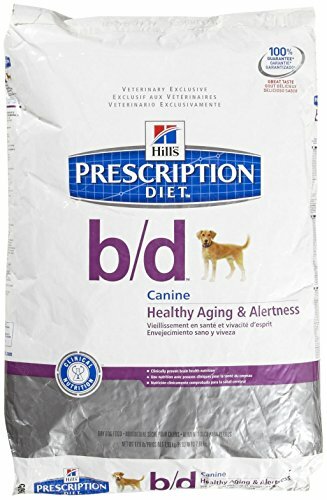 Something like Hill’s Prescription Diet b/d is often suggested. This food in particular has a formula made to address the nutritional needs of aging dogs with cognitive problems. CDD. The act of learning helps build new brain cells, new neural pathways, and keep the brain healthier. So puzzle toys, interactive exercise, and new tasks to learn are always a good idea. Adding dietary supplements to their diet. Some dogs may need some supplements to help boost brain health and cognition. Your vet will be able to help you find the right supplement for your dog’s needs. Using medications. Sometimes, using a psychoactive medication can help your dog be more alert and focused. This is something your vet can evaluate and consider with you. Be sure to keep them at a healthy weight. This helps their entire body, including the brain, stay healthier. Environmental enrichment, which is a fancy way of saying “there’s lots of stuff to do”, is important for dogs as they get older. They need to have new things to learn, new toys to play with, new tricks to master, and so on, to stay sharp. Think of the brain as a “use it or lose it” organ, and you’ll understand why this is so important. Consider doing things that help your senior dog stay more comfortable. 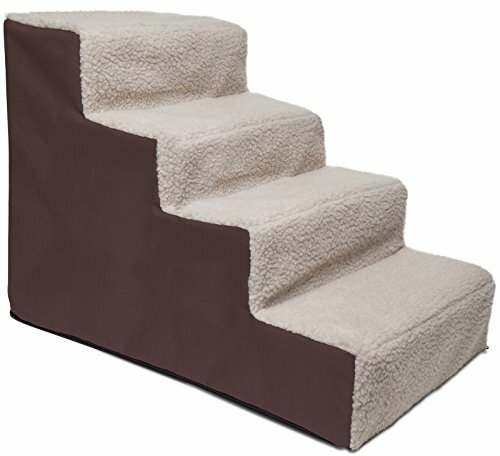 Arrange for them to have extra bathroom trips during the day, get some pet stairs to help them get up on the bed more easily, and so on. If you can care for their other needs as they age, they may be able to enjoy life better, which allows them to then focus on learning new things. Try not to move furniture around too much in your house. Your dog may be having trouble with navigation if they are unable to follow memorized paths. Try to keep your routine very similar every day. Try to keep bathroom breaks around the same time, meal times around the same time, and bedtime around the same time. Having this routine can help give a dog a grounding factor, so if they are confused, they at least have a routine they can latch on to and follow. Continue with daily exercise as long as you can. It can help prevent your dog from choosing to be immobile, and will keep their weight down. Be sure to continue regular vet checkups, dental care, grooming, and other care appointments. You may want to increase vet checkups to two or more times per year to make sure your dog has an eye on their health. Start re-training your dog to be housebroken, the same way you did when they were first trained. Learning this trick over again helps increase cognitive function, and it can help you feel like you are being proactive about the messes in your home. Continue to encourage your dog to socialize with other dogs and people. 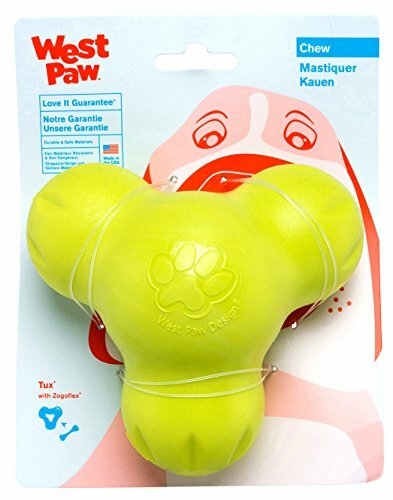 This can help your pup maintain interest in the world around them. Make any adjustments that need to be made to keep your senior dog healthy. If you can prevent them from getting any other illnesses, you will be doing their body a huge favor. This means keeping vaccinations up to date, avoiding kennels where kennel cough vaccines aren’t required, and so on. Once your dog reaches the advanced stages of CDD, there’s not much that can be done to help them relearn old tricks, or to prevent the “foggy” behavior. Unfortunately, all you can do is try to help slow the progress of this condition with intervention methods and treatments from the vet. This is why it’s so important to pay attention to these signs in a dog, and take them to the vet if you start to see any of them. Early intervention can slow the progress of the condition much easier than later intervention. You can give your dog a great quality of life, even as a senior dog, if you are able to catch this early. I’ve been extremely lucky to never have had a dog that dealt with CDD. However, I’ve seen my fair share of dogs in the early stages of this condition down at the dog park. They often stand and stare at nothing, or wander around in a dazed way, avoiding the other dogs. They may just toddle away from their owners for a quick bathroom break, and then lay down and wait to be taken home. It’s a sad state to be in for a creature that spends most of its life in a state of happy, energetic excitement. That is why I put together this article for you today. Dog owners that have this information may not be able to stop this dementia-like condition in its tracks – but they can make the rest of a senior dog’s life much, much more comfortable, interesting, and engaging, by putting some of these pieces of information into action. While I hope you never have to help your dog through this phase of life, it’s always good to have a few tips up your sleeve for making their life better.